Views: 238,765 – About 654 views per day.That number seems really low, but considering I only had a few hundred visitors the first two months I started this blog, it makes sense. Visitors: 94,895 – About 260 visitors a day. Again, this is low due to the first few months of my blog having VERY low statistics. Comments: 1,077 – About 2.95 comments a day. Posts Published: 378 – About 1.04 posts per day. 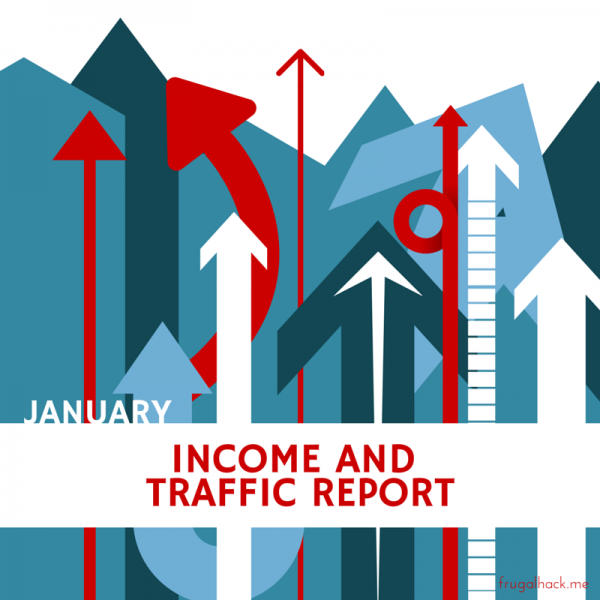 Total Income After Fees: -$146.70 – Blogging is not always the money-maker it’s made out to be. For those of you who are new to my income and traffic reports, I’m sure you can guess what they’re all about (Hint: it’s not the bass). This month has been my best month yet in terms of traffic! It seems like I say that every month, which is awesome because my blog just keeps on growing! January saw a ~16% increase in views and a ~16% increase in visitors compared to December. That’s amazing! This increase likely came from the two guest posts I did this month and the multiple links I received from other blogs. Also, I started writing at least 4-5 posts a week this past month, which gave me more fresh content and attracted more visitors. Money Order Prices and Locations – This post seems to be my most popular post every month. That still shocks me since it was posted in April. You can find an updated version of that post here. Load Serve With a Debit Card or Credit Card – It’s important to maximize your online loads, since it’s an easy $1,000 – $3,000 (depending on your version of Serve) of extra manufactured spending. You can find out which “debit cards” count as debit cards and earn points/miles here. Send Money From Serve to Your Bank – This is an easy way to liquidate your Serve account, but I wouldn’t say it’s the best way. It’s a much easier and faster process to simply bill pay your credit cards from Serve. Master List of Retention Offers – This page is a compilation of all the retention data points listed on Flyertalk. It’s constantly updated, so check back if you want to see what retention offers your card has received. January’s income was lower than December’s, which does not make sense to me at all. I use Media.net ads, so my income should correlate with the amount of visitors I receive, but it doesn’t. Unfortunately, the numbers were so low this month that I went negative, not by much, but negative is negative. 🙁 Regardless, I enjoy blogging even if it’s not profitable, but if you have any suggestions on how I can improve my blogging income, please send them my way. I want to say thank you all for visiting my blog, reading, sharing my posts, using my affiliate links, commenting, and signing up for credit cards with my links; You guys are awesome! Without you, this blog would be a waste of time, so thank you for making it a use of time. Is that even a phrase? Probably not, but you get the idea. Thanks ya’ll!